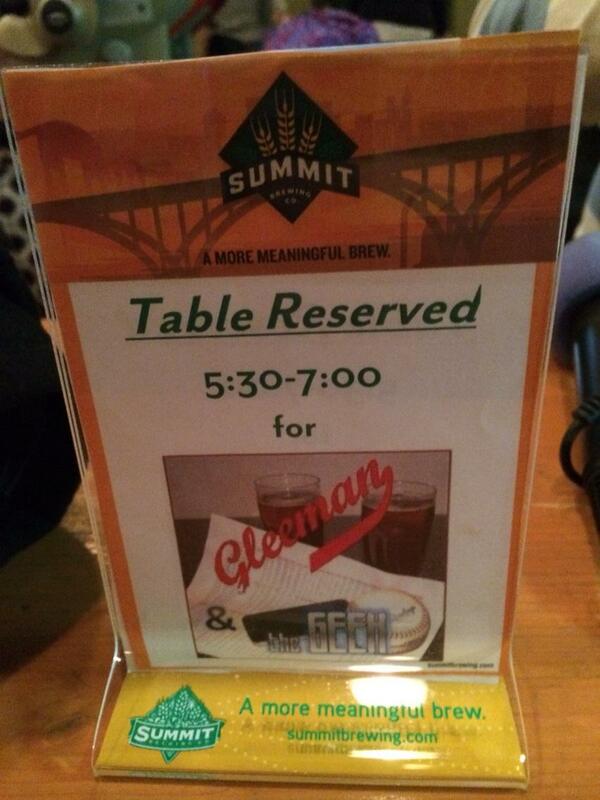 On this week's "Gleeman and The Geek" episode we welcomed special guest Steve "Randball's Stu" Neuman for beers at Summit Brew Hall and topics included filling out the Twins' coaching staff, having Torii Hunter feelings, Miguel Sano and 40-man roster additions, good charities and $100,000, Curt Schilling spouting off, "The Sportive" podcast, and trying out for "The Voice." • Nora Purmort and Aaron Purmort are sort of the official couple of Twin Cities Twitter. They are beloved, both online and in person, and their young son Ralphie Purmort is an Instagram superstar because he's basically the cutest kid of all time. Aaron was diagnosed with a brain tumor shortly after they got married and Nora has been writing honestly, openly, and humorously about their life together in a way that is truly inspiring. Now they need your help. Aaron's condition has worsened to the point that treatment has stopped working and he's entered into hospice care at home. He's dying. At the urging of her sister Nora has set up an online fundraiser via which people can donate money to help a great family in need. So go read the archives of Nora's blog, My Husband's Tumor, which is well-written and sad and touching and funny. And then go donate whatever you can to help them. Please. • Friend of AG.com Maggie LaMaack interviewed Aaron Purmort, who said: "I think I am the first person on LOL/OMG to be interviewed on his death bed." • Great headline, with an even better mugshot: "Drunken bicyclist arrested at Taco Bell drive-through after tussle with cops." • For just $60 (and a flight to Oregon) you can get an hour-long cuddling session that includes "hair strokes, hand-holding, and a plethora of different cuddle positions." • "The Voice" contacted Jason Isbell about auditioning for their show, which is like if a Triple-A team contacted Mike Trout to see if he wanted to try out as a shortstop. • Helluva legal system when admitting to regularly ejaculating into a co-worker's coffee doesn't result in a clear, immediate means for punishment. • On this week's "Gleeman and The Geek" episode we examined the Twins' options for finding an outfielder in free agency and reviewed Fritos Chili pizza. • On a related note, this is either performance art of the person who cut it is insane. I miss Tecmo Bowl in my life. • As a new "Scandal" watcher I hope they cast Rihanna in a guest role and she dates Joshua Malina's character. • There are seven arbitration-eligible players on the Twins' roster and December 2 is the deadline to tender them contracts for 2015, so I tried to figure out what they should do with each one. • Baseball America released its annual list of the Twins' top 10 prospects, with the same top five as last year in a slightly different order. • An example of why Parker Hageman of Twins Daily is so good: He breaks down potential Twins target Justin Masterson using stats, scouting, quotes, and video. • Mike Wise is the latest old white dude to make me sad about eventually becoming one myself. • Marilyn Manson is doing a concert at Mystic Lake casino in February. Imagine that crowd. • Chelsea Peretti's new stand-up special "One of the Greats" is on Netflix and it's predictably fantastic, with lots of funny/weird Easter Egg-type stuff thrown in. • One of my favorite comedians, John Mulaney, was a good guest on "WTF" with Marc Maron. • Restaurant recommendation: Black Sheep Pizza in North Loop lived up to the considerable hype. - "Highland Park robbery video"
- "Baseball movie with Gilbert Gottfried"
- "Eddie Guardado speaks Spanish"
- "Chelsea Peretti dating Denzel Washington"
- "Torii Hunter not such a great guy"
Arbitration-eligible Twins: Tender or non-tender? December 2 is the deadline for teams to tender 2015 contracts to arbitration-eligible players and the Twins have seven such decisions to make this offseason. There are some no-brainers to keep, some no-brainers to non-tender, and some calls that could go either way. Below you'll find MLB Trade Rumors' projected 2015 salaries for the Twins' arbitration-eligible players and my thoughts on what they should do and/or will do with them. 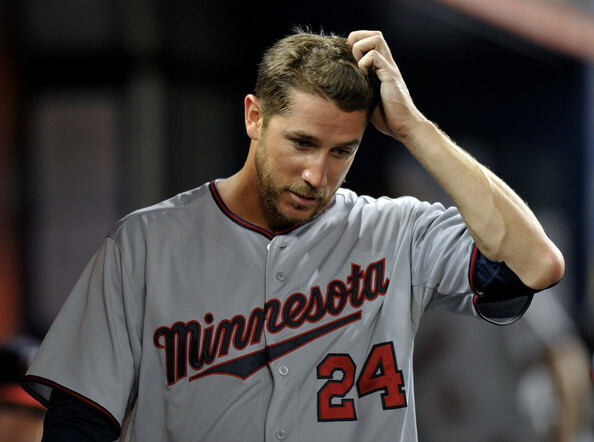 • Trevor Plouffe ($4.3 million projected salary): This time last year the thought of the Twins non-tendering Plouffe rather than paying him around $4.3 million for 2015 via arbitration would not have surprised anyone, but he played well enough that keeping him around for another year seems like a no-brainer. Plouffe played a career-high 136 games and set personal best marks in batting average (.258), on-base percentage (.328), doubles (40), and walks (53). He hit .258/.328/.431 for a .751 OPS that easily topped the .715 OPS produced by all MLB third basemen and perhaps more importantly Plouffe's defensive numbers improved dramatically. He was above average on both sides of the ball, ranking among the dozen best third basemen. His place in the Twins' plans beyond the first half of next year will be determined largely by Miguel Sano's recovery from elbow surgery, but in the meantime $4.3 million is an easy call. • Tommy Milone ($2.8 million projected salary): When the Twins acquired Milone from the A's in exchange for Sam Fuld on July 31 he seemed all but certain to be part of their 2015 rotation, but then he allowed 21 runs in 21 innings before being shut down with shoulder and neck problems. Prior to the trade Milone had a 3.84 ERA in 443 innings for the A's, but a pitcher-friendly ballpark and strong defenses masked a performance that was closer to a 4.25 ERA in quality. Milone is 28 years old and under team control through at least 2018, so even if he's a 4.25 ERA guy keeping him around for $2.8 million makes sense, but with his post-trade struggles, injury issues, and lack of upside thanks to a mid-80s fastball and poor strikeout rates it's possible the Twins will decide to cut bait. Their overall starting pitching obviously needs work, but they aren't lacking in back-of-the-rotation options. • Brian Duensing ($2.5 million projected salary): On the surface a 3.31 ERA suggests Duensing had a good season, but in reality he managed just 33 strikeouts versus 20 walks in 54 innings and as usual got knocked around by right-handed hitters by allowing them to slug .494. Duensing has neither the velocity nor the bat-missing ability typically desired in a late-inning reliever and his career-long struggles against righties make him ill-suited for more than a lefty specialist role. There's often a place for southpaw specialists, but Duensing doesn't dominate lefties enough to thrive in that role. Combined from 2012-2014 lefties hit .265/.307/.383 off him. This season all lefty vs. lefty matchups in MLB resulted in a .240/.302/.345 line. Righties hit .289/.351/.442 with 48 walks and 70 strikeouts off Duensing from 2012-2014, which is terrible for a reliever. He's had a solid, useful run with the Twins, but for $2.5 million Duensing is no longer really needed. • Jordan Schafer ($1.5 million projected salary): After claiming Fuld off the waiver wire and getting surprisingly good value for 53 games before trading him the Twins nearly repeated the process with Schafer. Claimed off waivers from the Braves following Fuld's departure, Schafer hit .285/.345/.362 with 15 steals in 41 games while shoring up the outfield defense. Rather than trading him the Twins' option with Schafer is whether to bring him back for $1.5 million. Based strictly on his 41-game trial the answer would be yes, but even with that included Schafer is a career .229/.311/.310 hitter in 436 games and hit just .225/.278/.294 at Triple-A. 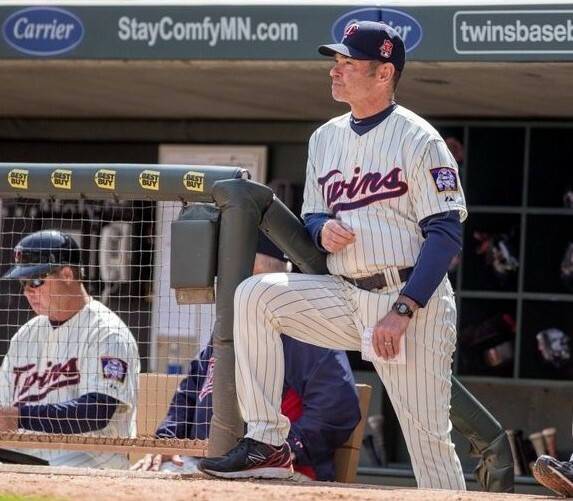 An extra million dollars isn't going to make a dent in the Twins' payroll space, so the decision should come down to who they want pushing Aaron Hicks in center field and/or seeing action in left field on days when manager Paul Molitor focuses on outfield defense. • Anthony Swarzak ($1.4 million projected salary): Moved to the bullpen after flopping as a starter, Swarzak had a nice 2013 in long relief and resumed struggling in 2014. He posted a 4.60 ERA compared to the MLB average of 3.58 for relievers and struck out 4.9 per nine innings for the second-worst rate among all relievers with 60 or more innings. Just how little do the Twins trust Swarzak in games that aren't already lost causes? They are 36-111 when he pitches since 2012. He's now 29 years old with a 5.87 ERA in 32 starts and a 3.66 ERA in 149 relief appearances, and the bullpen work comes with a lowly strikeout rate of 5.8 per nine innings. Swarzak is a standard low-leverage reliever with the ability to soak up some innings, but there's no upside to be had in keeping him in that role and the Twins would be better served letting a younger reliever or maybe even a starter prospect get his feet wet in the majors with those same innings. • Eduardo Nunez ($1.2 million projected salary): Acquired from the Yankees in early April, the Twins oddly talked up Nunez's offensive ability despite a track record full of poor production and overlooked his awful defensive numbers. Then they gave him 213 plate appearances, including 17 starts at shortstop, and he hit .250/.271/.382 with a 31/5 K/BB ratio. To make matters worse the prospect they traded for him, Miguel Sulburan, pitched well at high Single-A as a 20-year-old. Nunez is 28 years old. He's hit .264/.305/.380 in 342 games in the majors and .272/.316/.366 in 722 games in the minors. Ultimate Zone Rating has him 31 runs below average per 150 games at shortstop and several other defensive metrics see him as even worse. The bar for "decent utility infielder" is extremely low, but Nunez can't field well enough to play shortstop and can't hit well enough to be an asset anywhere else. • Casey Fien ($1.1 million projected salary): Signed to a minor-league contract three offseasons ago, Fien initially emerged as a dependable middle reliever and then overtook Jared Burton's as Glen Perkins' primary setup man. As an extreme fly-ball pitcher he's always at risk for a home run-based blowup, but Fien has generally been good enough at everything else to make up for allowing 19 homers in 160 innings for the Twins. He has a 3.54 ERA in three seasons with the Twins, including a 156/31 K/BB ratio in 160 innings and a .234 opponents' batting average, and Fien has actually been slightly more effective against lefties than righties. Ideally he's better suited for a middle relief role than eighth-inning duties and at age 31 he's not someone the Twins need to worry about retaining long term, but for now $1.1 million is a bargain. For a lot more about the Twins' arbitration-eligible players and a discussion of their potential free agent targets, check out this week's "Gleeman and The Geek" episode.